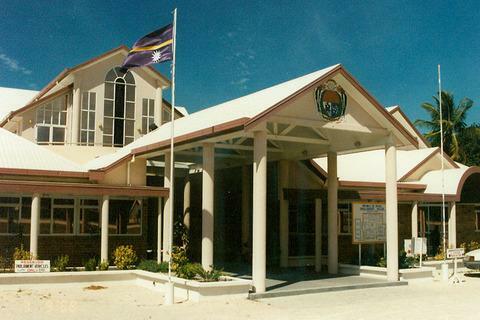 Parliament House represents the Nauru government with its modern style and structure. Located across from the international airport, the entirely white building combines a simplistic architectural style with glass inserts that provide a clean, imposing view of a modern state. Enter the structure to learn more about the history of Nauru through the artifacts and art exhibited inside. Well-kept rooms showcase where the 19 elected parliamentary representatives run the country.